There are several basics you need to cover to make sure you keep your site sticky. By sticky, we mean that visitors will stay on your site for a longer period of time – hopefully, long enough to make a booking. According to research from HotelMarketing (compiled by gathering feedback from nearly 8,000 online travel buyers), errors in pricing, user experience and product were directly contributing to lost sales. 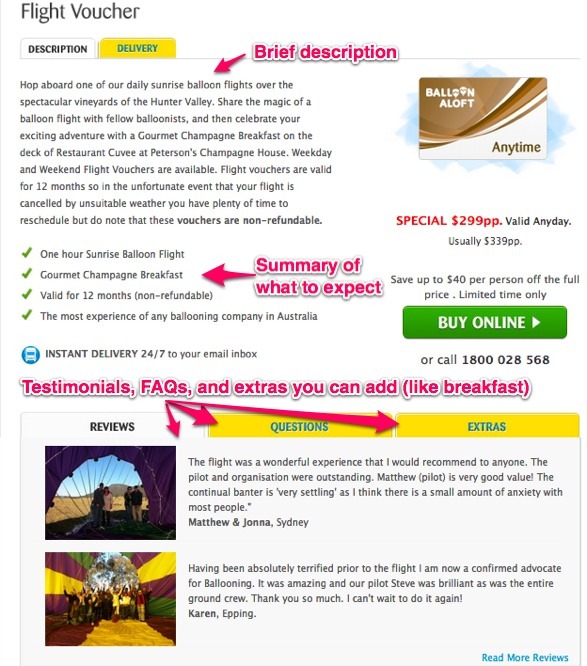 When potential hot air ballooners land on this site, they’re in the middle of their search for the best hot air ballooning experience for as cheap as possible, or at least reasonably within their budget. Hot Air do a great job of presenting their pricing options in the most simple way possible. They give site visitors the information they need, answering how much it costs, why it costs so much, and what it involves, reinforcing the message that people will get the best value for their money. Also, they make their additional charges clear by placing them in a separate tab, and effecively break up blocks of text with white space and eye-catching imagery. Not only are their web pages displayed in a user-friendly way, they also provide local information like accommodation, places to eat, and activities in the area. This would be of interest to travellers, causing them to stick to the site for longer. They’re also labelled in a way that you know exactly what you’ll find on the page (eg. “what to expect” and “where we fly”). 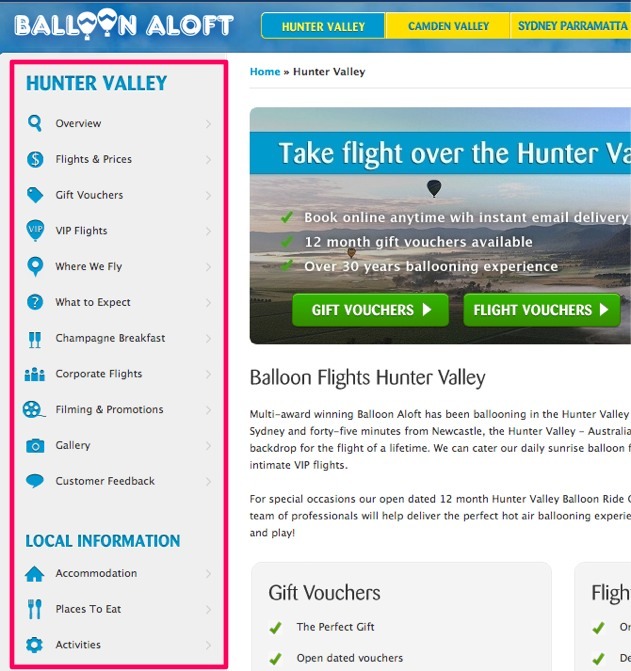 Forget fancy language, because simplicity is key for first-time site visitors. as interactive as possible, eg. by using video and social sharing buttons. as attention-grabbing as possible, eg. by using stunning imagery that evokes emotion. as simple as possible – eg. with a clear and clean design, especially with regard to navigation! What tactics do you do to make your site sticky? Let us know in the comment section below.